We made it! We’re in Thailand and, aside from a little travel fatigue and heat-induced stupor, we’re already loving it. 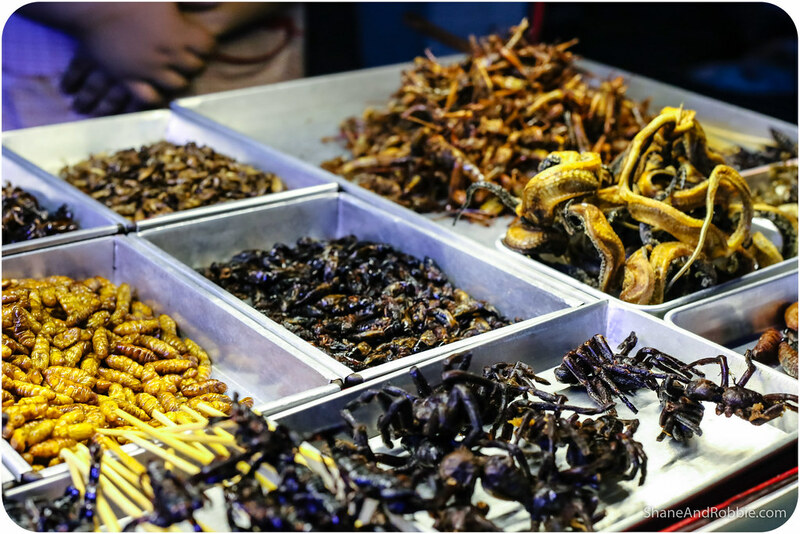 The moment we landed it was obvious we were somewhere new and profoundly different; aside from the obvious heat and humidity, the very air here smells different – its redolent of Thai food: sweet, spicy, sour, and salty all at once. 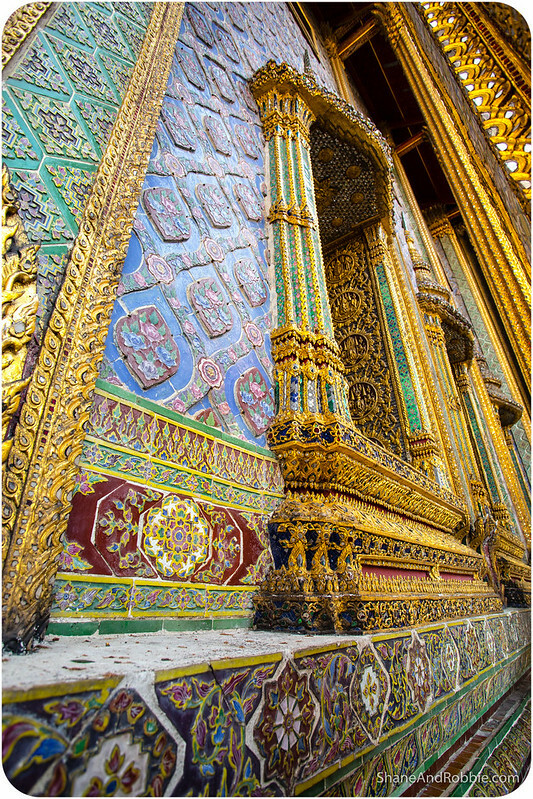 And the traditional Thai architecture is just stunning! 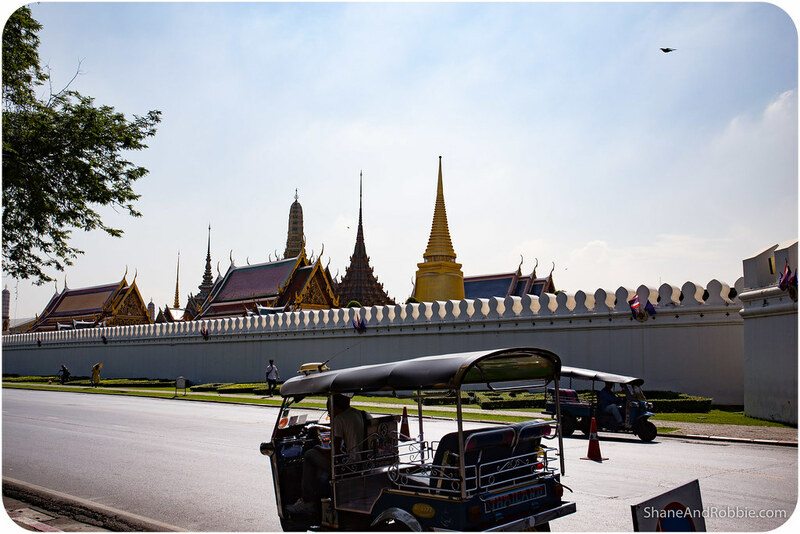 Keen to start sightseeing straight away, we went to see Bangkok’s 2 biggest sights today: the Grand Palace and Wat Phra Kaew (i.e. 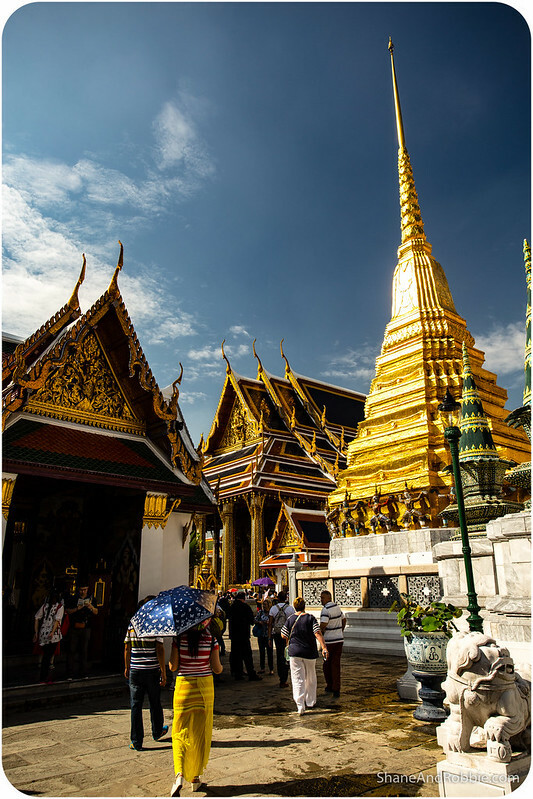 Temple of the Emerald Buddha). 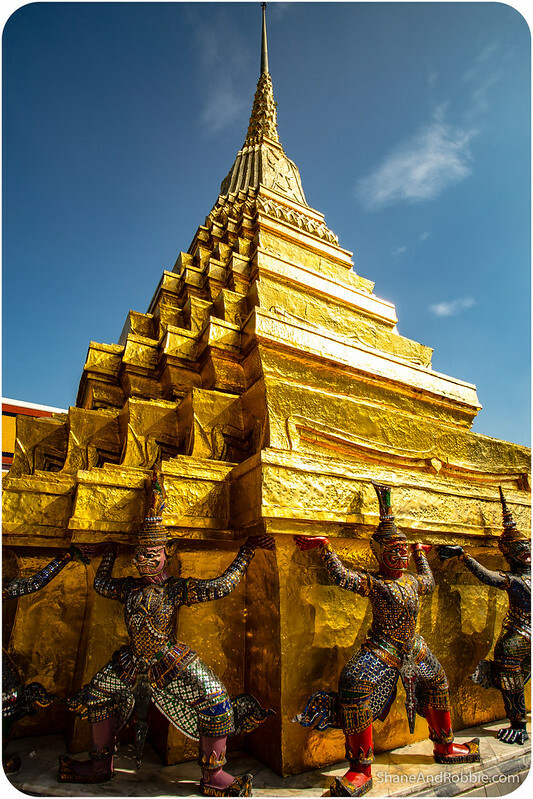 Both of these sites are just incredible, with their gold leaf decorations and iconically Thai silhouettes. It’s just so cool being somewhere so very unique and we can’t wait to see more of Thailand! After a very long and very uncomfortable* 11 hour flight from Frankfurt, we arrived in Bangkok today tired, cranky, and entirely unprepared for the incredible heat and humidity of this place. Sweet Jesus it’s hot here! And humid…. such humidity! It was 16C in Madrid when we left – it’s 36C and 90% humidity here at the moment. We’re in shock. Just breathing is a struggle – you have to chew your way through the air to get any oxygen! But man is it AWESOME! *We flew with Lufthansa and, whilst their service, meals, and in-flight entertainment were great, the seats were terrible. It seems they’ve stolen valuable inches of leg room from every seat to squeeze in another couple of rows down the back. The result is the most uncomfortable airline seat setup imaginable. Made us wish we’d flown business class. Or swum. 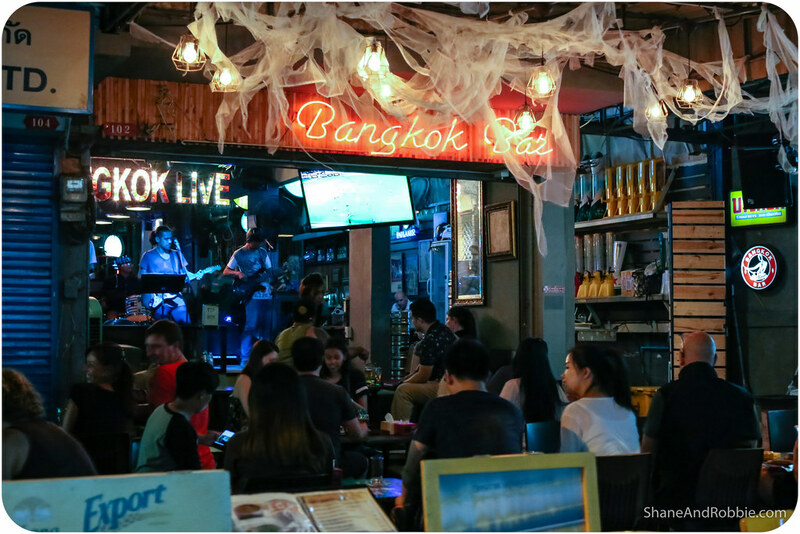 To add to our struggles, Bangkok’s Suvarnabhumi Airport was incredibly busy when we arrived and it took us 2 hours to get through immigration and customs. A further hour in Bangkok’s infamous traffic and we finally made it to our hotel, which is just 2km from the centre of town. It’s all very modern and schlick, with a great pool and easy access to some of Bangkok’s sights. We can even see a couple of temples from our balcony! Not that we lingered in the room for long, a quick shower to refresh and we were off to do some exploring*. *We’ve found the easiest way to adjust to new time zones and recover from jet lag is to sleep, eat, and be active when you’re supposed to (i.e. as per your new time zone). We didn’t want to risk falling asleep and messing up our body clock, which is why, despite the 6 hour time difference and lack of sleep, we went out to do some sightseeing straight away. 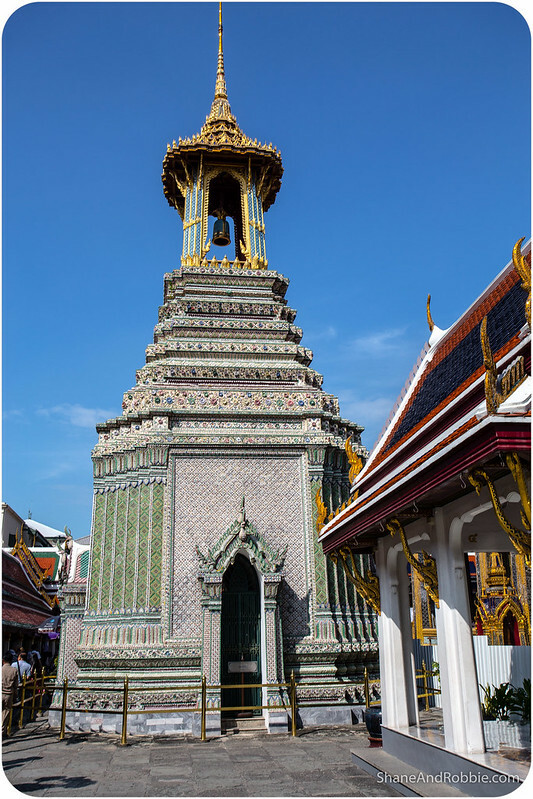 First stop was Wat Phra Kaew (i.e. 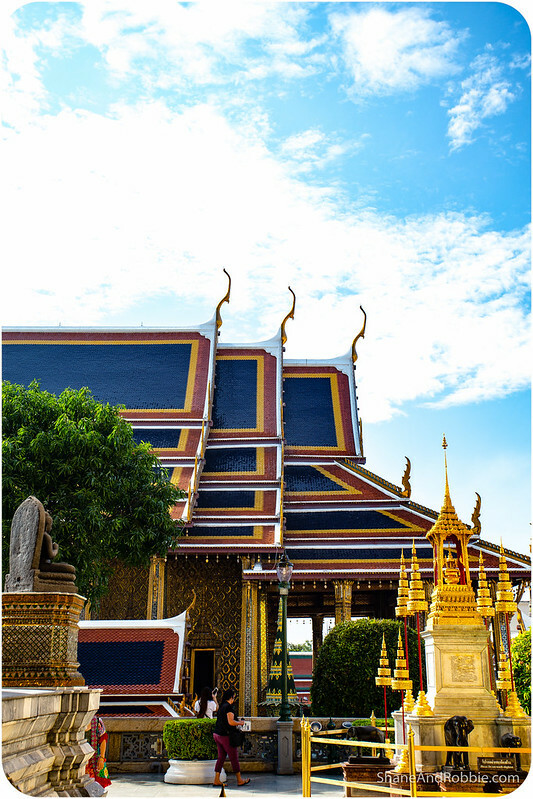 Temple of the Emerald Buddha), which is regarded as the most sacred Buddhist temple in Thailand. 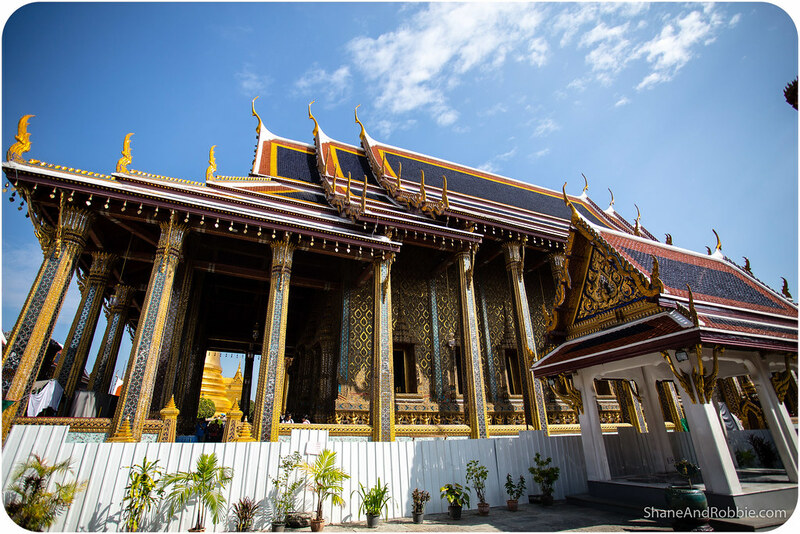 Like many Buddhist temples Wat Phra Kaew is not just one building, it’s a complex of some 100 separate buildings, each with its own religious purpose or ceremonial function. 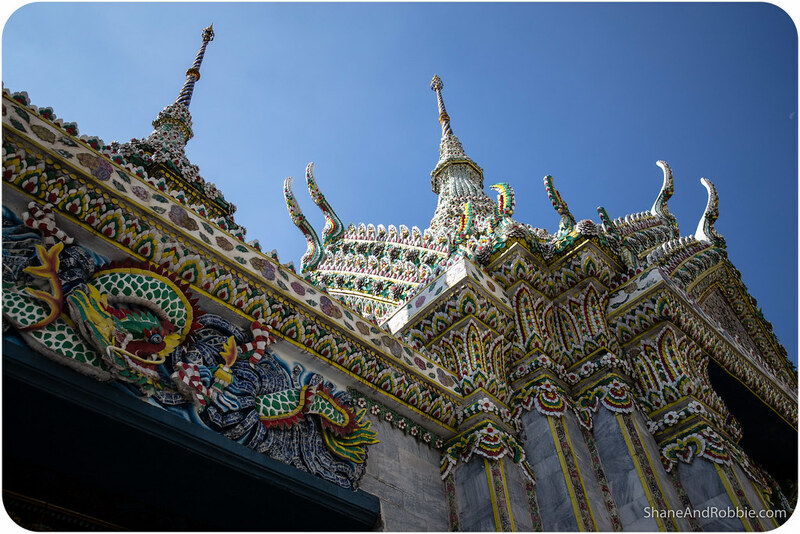 Constructed in the 19th century the temple structures are built in the Ratanakosin style, with tall spires reaching up to the heavens, pointed tips at the corners of each roof, and great decorative detailing covering the walls. 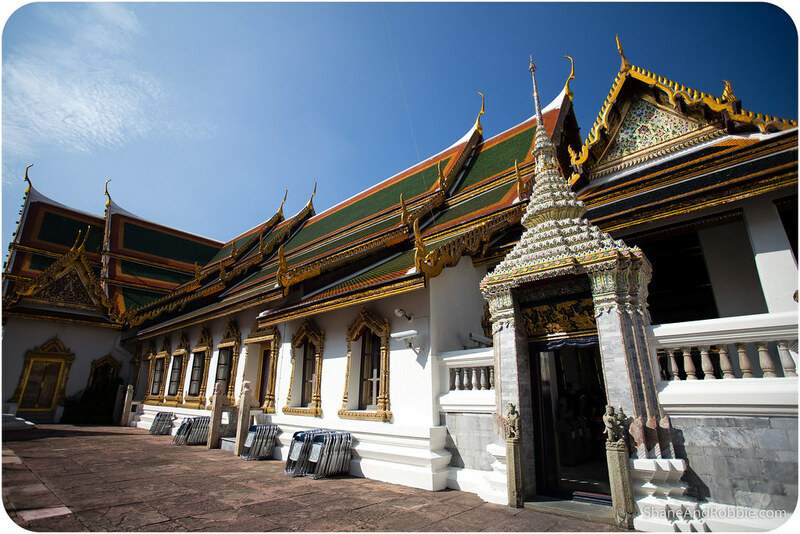 The main building of the temple houses the statue of the Emerald* Buddha. According to legend, this Buddha originated in India where it was prophesied that the statuette would bring prosperity to the country in which it resides. 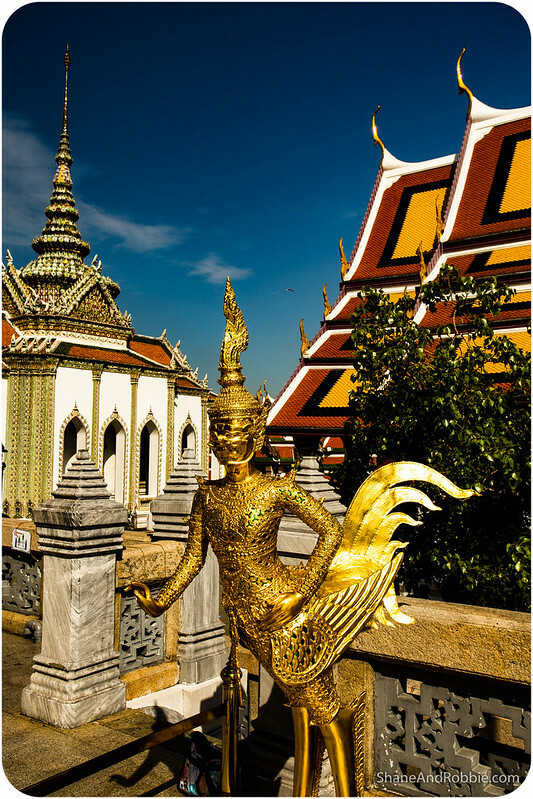 The statue was brought to Thailand in the 13th century and is deeply revered and venerated. *The statue is emerald in colour but is made of jade, not the gemstone emerald. 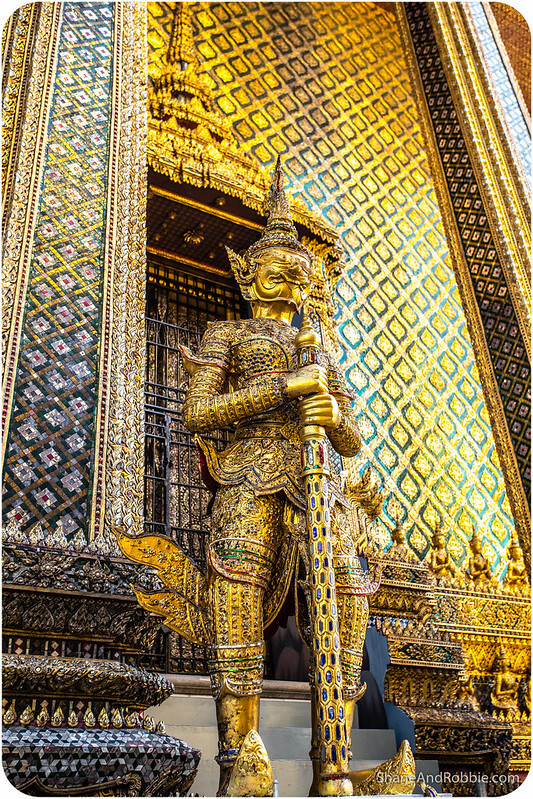 The Emerald Buddha statue was surprisingly small – just over 60cm tall. But the call he is kept in was very ornate, covered in gold leaf and detailed ornamentation. As it is currently the final season here, the Buddha was wearing his traditional rainy season garb. The golden cloak around the statue is changed 3 times a year, corresponding to the summer, winter, and rainy seasons; this ritual is said to usher good fortune for the coming season. 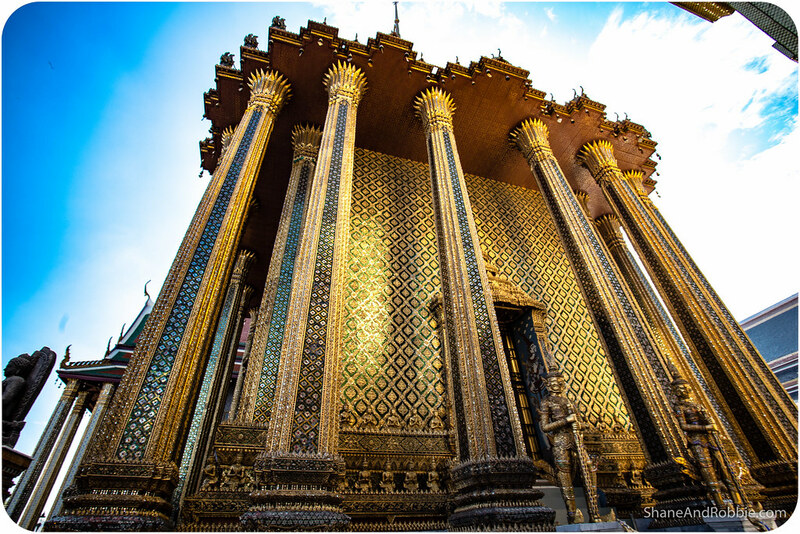 The buildings that make up Thailand’s most sacred temple are housed within the walls of the Grand Palace precinct, in central Bangkok. The entire complex, including the temples, is surrounded by a compound wall that’s about 2km in length. 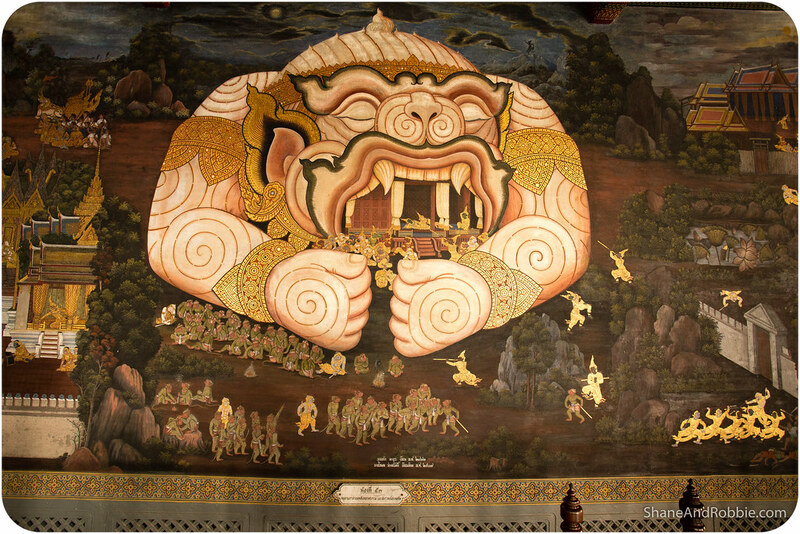 The compound walls are decorated with murals, based on an Indian epic that tells the tale of a Great War in which demons fought the agents of good. Following the walls around we could almost make out the story that was being told, though some of the nuances of the tale were lots on us. 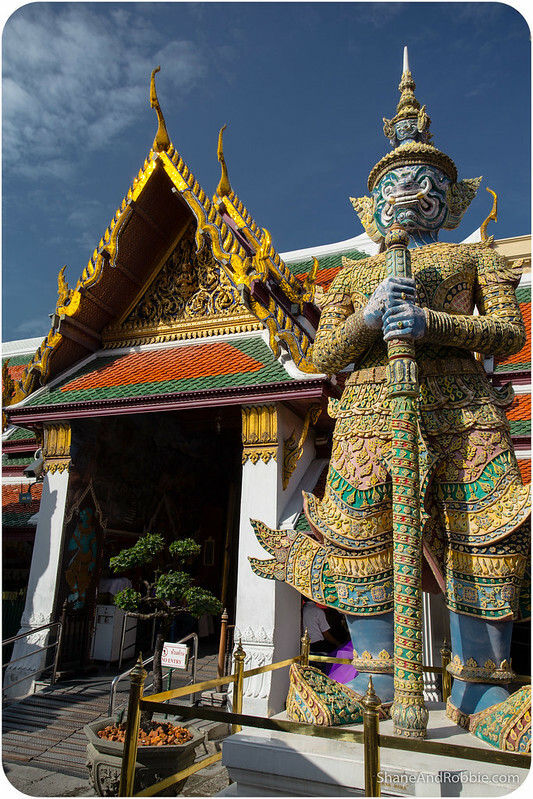 Each gate of of the compound is guarded by the 5-metre tall demons, a character taken from the same epic tale. 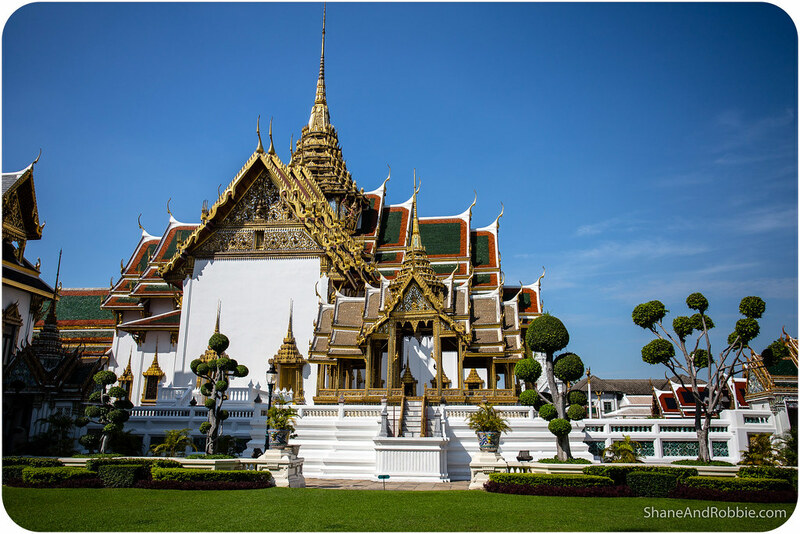 The King of Thailand* (once known as the King of Siam), is the head of state here and the Grand Palace of Bangkok is officially his residence. The king and his family do not spend much time there, however, with most of the palace now being exclusively a tourist attraction. *King Bhumibol is much loved by most Thai people, as is his wife. Their images are everywhere and people seem to genuinely respect the king. 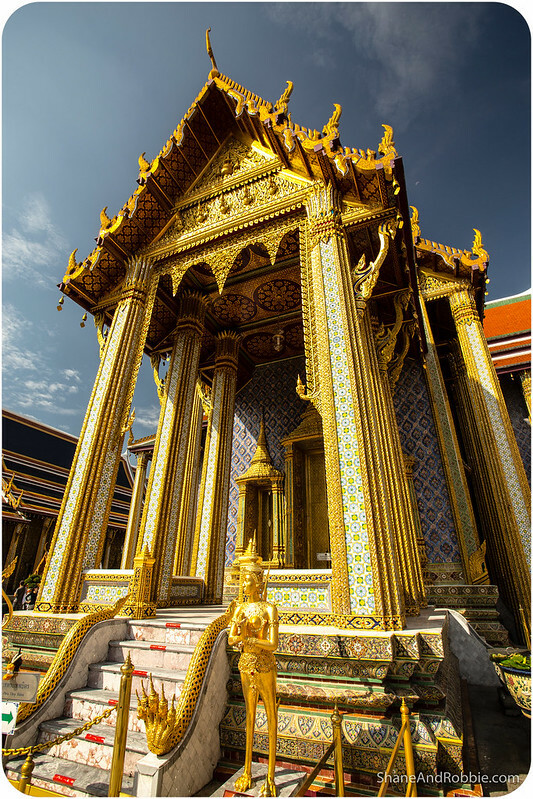 The Grand Palace is a complex of buildings situated within the same complex as the Wat Phra Kaew dating back to 1782, which is when Bangkok became the capital of Thailand. 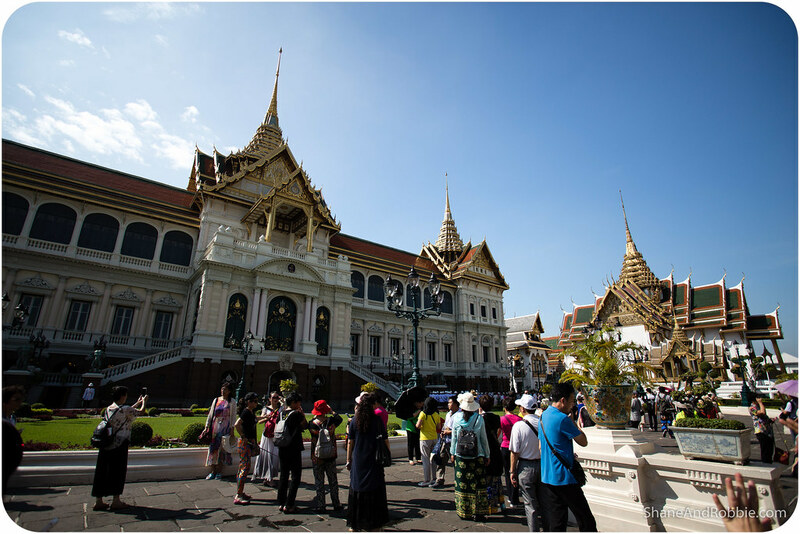 Though king and his court are no longer in residence there, the Grand Palace is still used for official events. We stopped to visit a number of halls, once used for ceremonies or for official royal business. 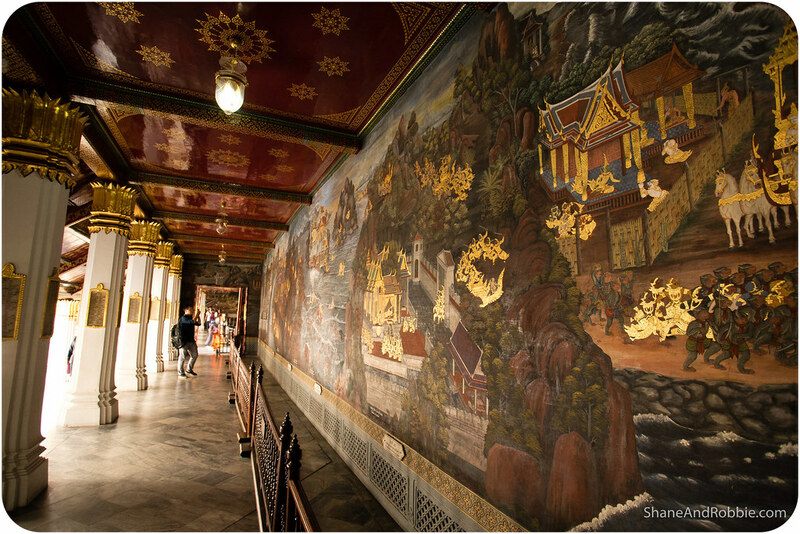 Some of these halls are preserved to look like they once did, whilst others have been converted into museums housing a range of artefacts relating to Thailand’s royal family. Touring through the Grand Palace we learned a bit more about Thai history, something we were completely ignorant of until today (except for the tiny bit we learned from watching “the King and I”, which really doesn’t count!). 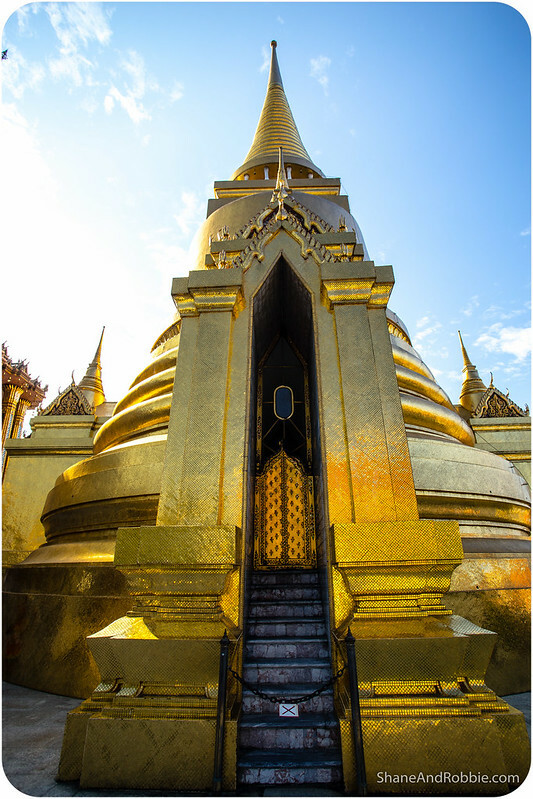 We learned that Thailand has had a monarchy since 1238 when the Sukhothai Kingdom was first founded. 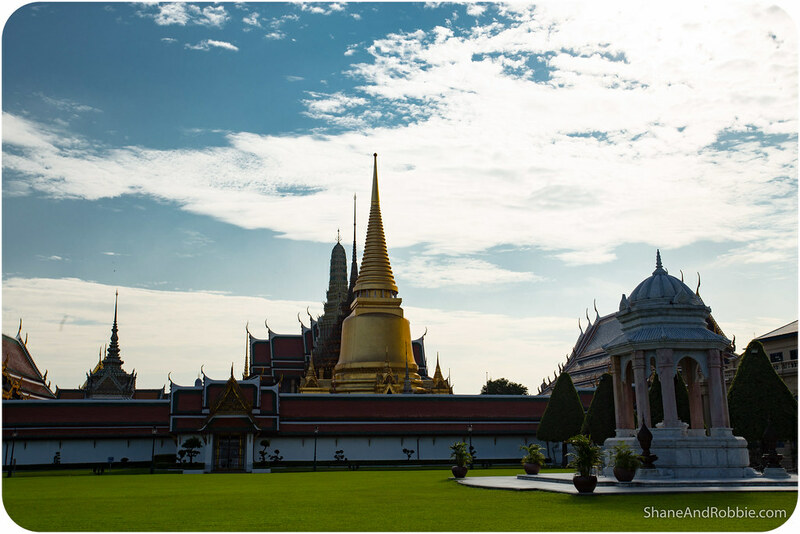 Named after the capital of the time, the Sukhothai period was considered to be a golden age of Thai culture. The boundary of Sukhothai stretched from Vientiane, in present day Laos, south to the Malay Peninsula. During this time Thai had strong friendship with neighbouring countries and absorbed elements of various civilisations which they came into contact, especially China and India. 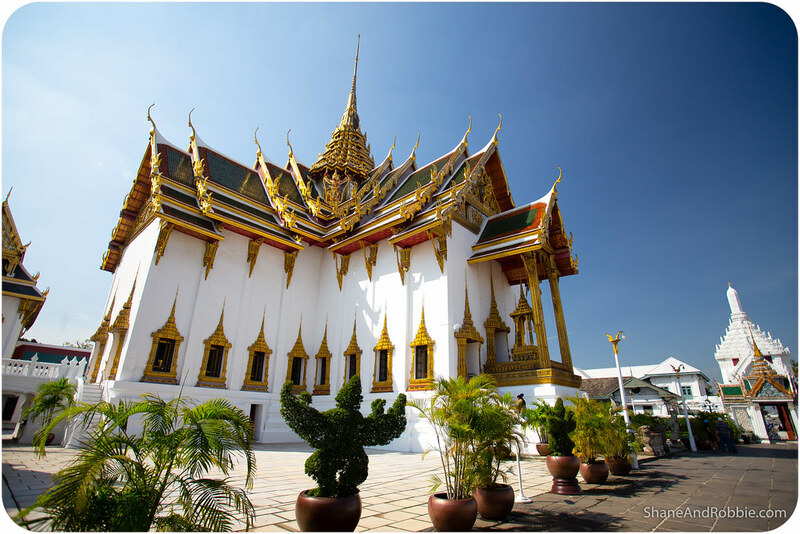 It was during this period that the Thai system of writing was developed. 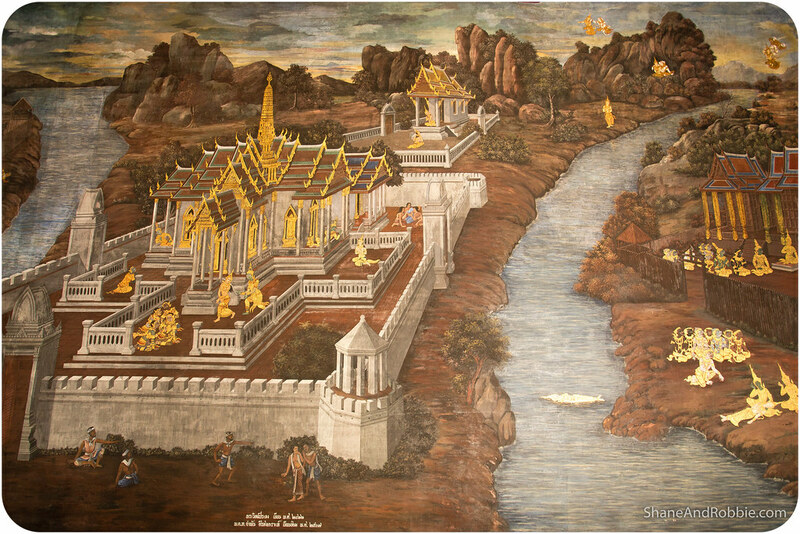 In 1351 the capital of the Thai Kingdom was moved to Ayutthaya and the second era in Thai history began. Lasting more than 400 years the Ayutthaya period saw Thailand extend its borders even further and first contact with Europeans (the Portuguese) was made. 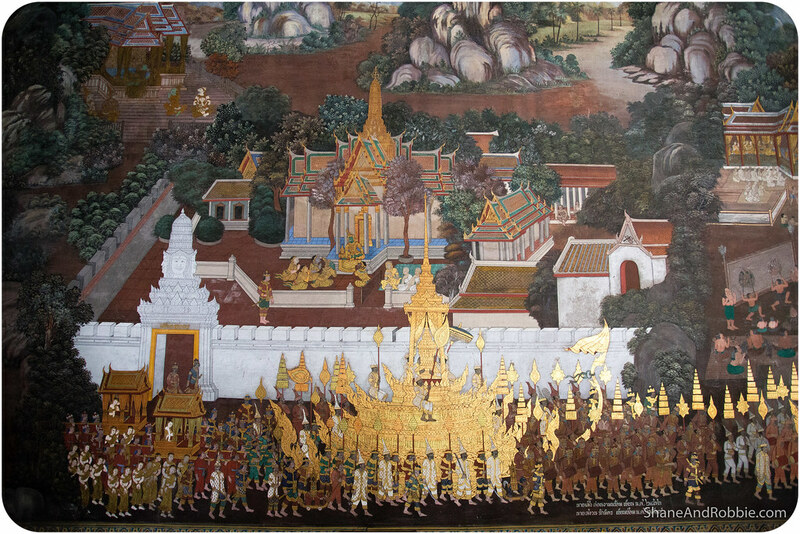 Conflict with neighbouring Burma saw the fall of Ayutthaya in 1782 forcing the capital to be moved once again – this time to Bangkok, where it has remained ever since. 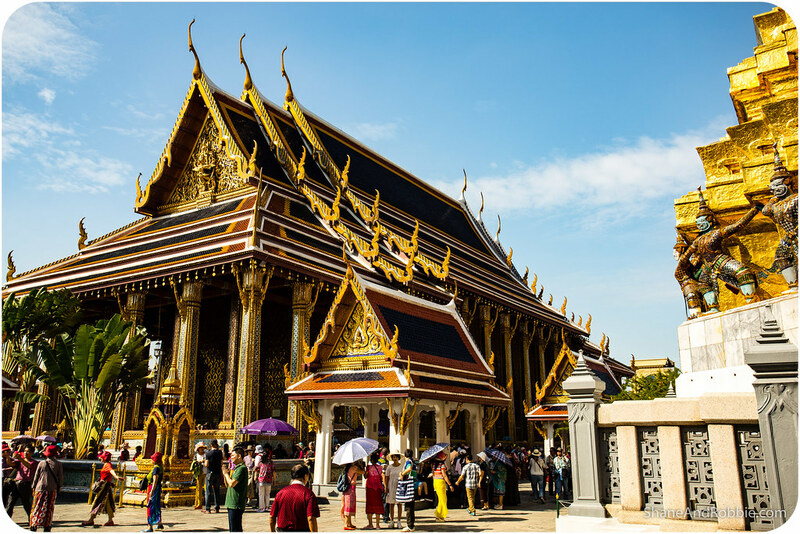 During the 19th century, when the rest of this part of the world was being diced and slice dup by colonial European nations, Thailand managed to avoid being colonised and remained an independent, free state. They had to trade much of their lands to the French in exchange for this independence, but at least they remained their own entity. This is something we’ve already seen the Thai people are fiercely proud of. The politics of Thailand took some significant turn on 24 June 1932 when a group of young intellectuals, educated abroad and imbued with the concept of Western democracy, staged a bloodless coup, demanding a change from an absolute monarchy to a constitutional monarchy. 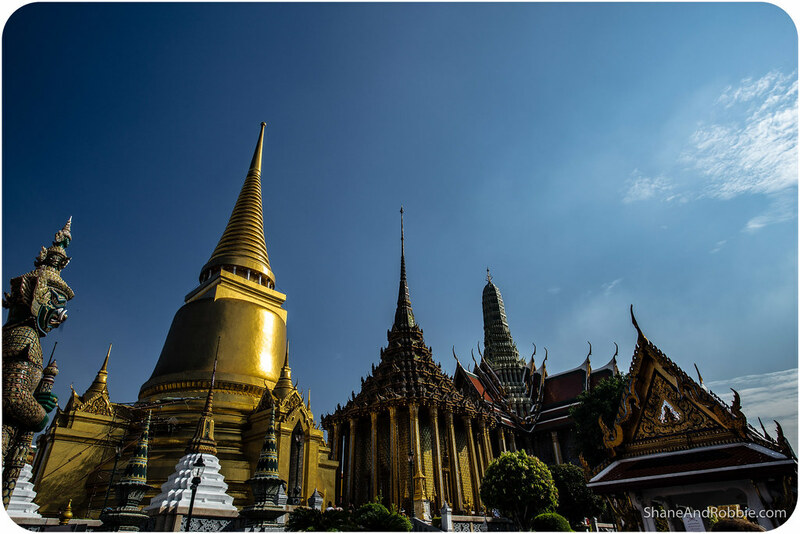 Determined to avoid any bloodshed, King Rama VII agreed to the change and almost a century later the basic concepts of constitutional government and monarchy laid down in the 1932 constitution have remained unaltered. Brains full and sightseeing needs sated, we left the Grand Palace content and ready for some dinner. 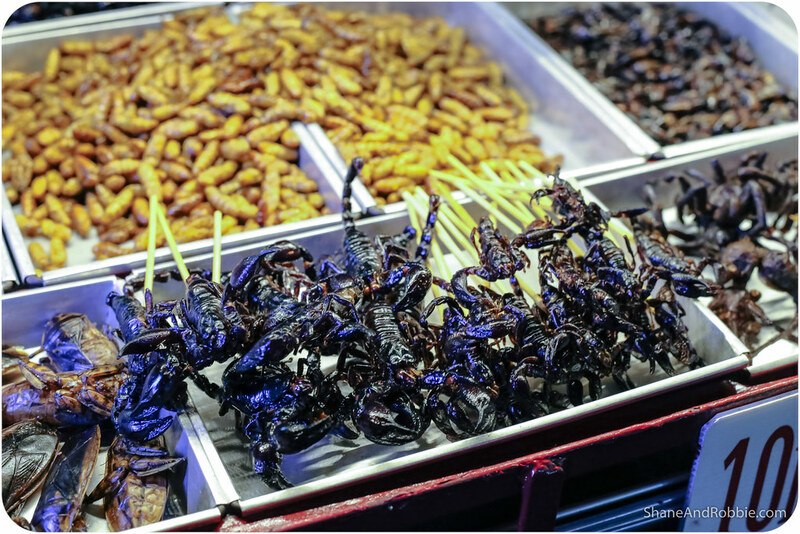 To find food we went straight to Bangkok’s infamous Khao San Road. 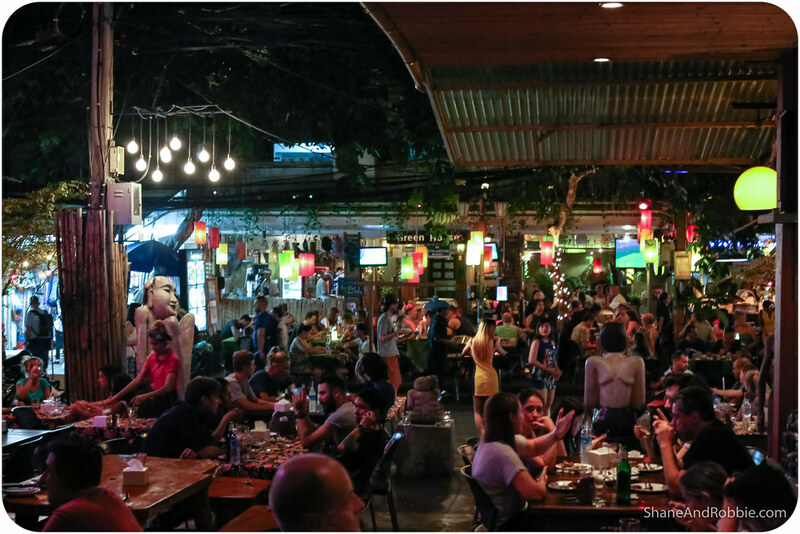 Lined with restaurants, pubs, and bars, this is Bangkok’s first “backpacker’s ghetto”, where we saw everything from fried scorpions for sale, to guys holding up signs advertising “Ping Pong Shows” (and other such unsavoury activities). 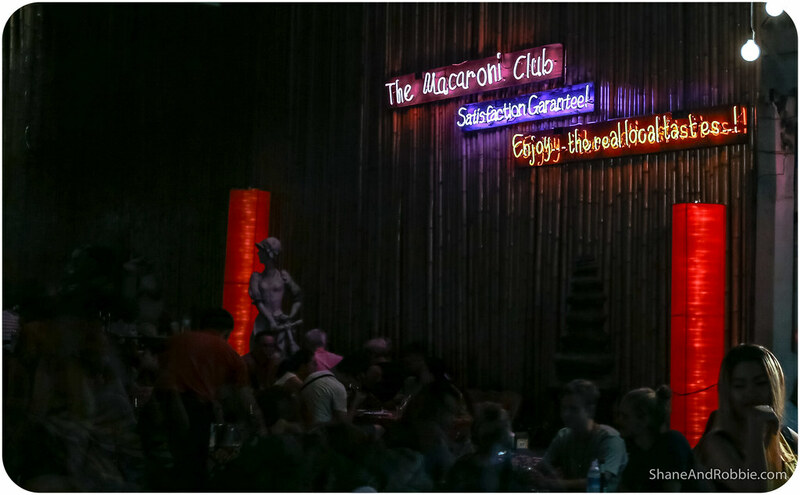 We had dinner at a great restaurant there but didn’t linger for long afterwards – it was just all so sleazy! Not our thing AT ALL. Interesting to see once in your lifetime maybe, but certainly not the side of Thailand we came to enjoy. And so ends our first day in SE Asia. We’re exhausted but immensely satisfied – we’ve already seen some extraordinary sights and are loving the Thai aesthetic. Not loving the heat so much, but we’ll adapt no doubt. In the meantime, the key to surviving the heat will be to drink lots of water and never be in too much of a hurry – we’re learning to move slowly, take our time, seek out shade, and enjoy the air conditioning when its available!